Yesterday was an uneventful day. Susan went to her Pilates class in the morning and I stayed behind to finish up the articles I have been translating. I needed to run a few errands and so I headed out a little after 1:00. As I was approaching Guillén de Castro someone called out my name and it turned out to be Susan who had stopped off to make a few purchases and chat with friends. 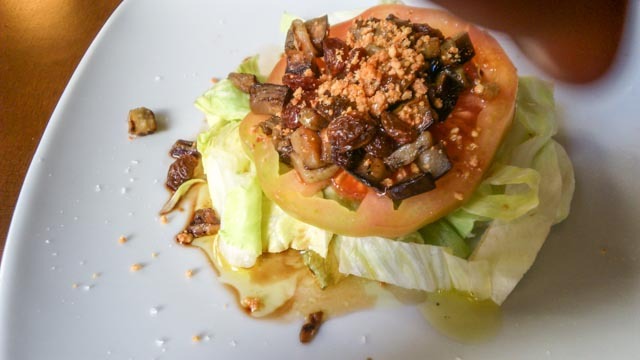 We continued on together and having finished our list of things to do, we decided to have lunch at El Cuento, a few doors down from Miguel’s office. El Cuento is always a reliable choice. 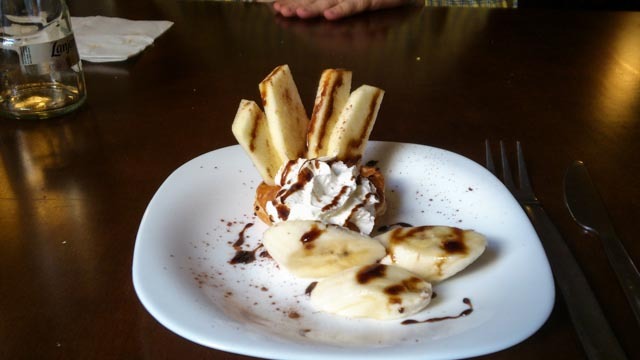 It is a no frills restaurant where the quality is always good and the food is always tasty. 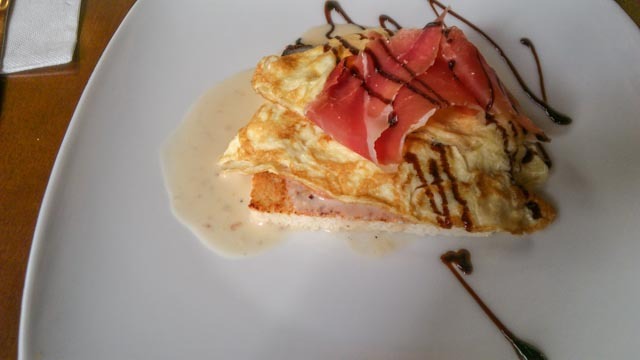 Susan started off with a salad that was topped with caramelized eggplant while I chose a tosta that was topped with a portion of a four-cheese omelet and crowned with a slice of jamón serrano. 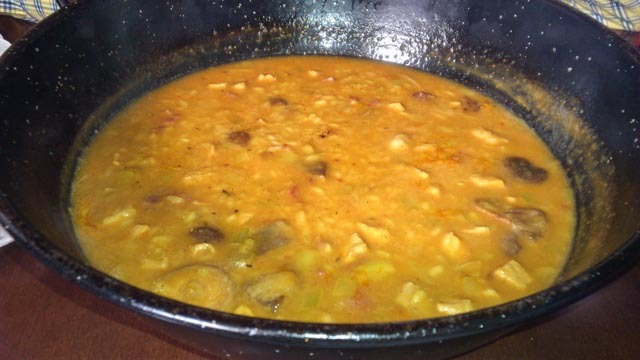 Our main dish was an arroz meloso with lomo, ham and mushrooms. It was the perfect dish for a rather brisk day. Susan had fruit for dessert and I had a café cortado. Our afternoon was uneventful and at 8:00 I headed out for a meeting of the CIVAC. Last night featured a presentation by Mago Aranda. He performed all the effects on his new DVD that was shot at La Cuchara Mágica and afterwards he offered the DVD for sale at a special price for us CIVAC members. The few people that stayed after the lecture were going to London Café for a bite to eat, but I headed home instead and enjoyed a slice or two of Friday’s pizza. We read for a while and we went to bed a little early for us because Inma, our cleaning lady, would be ringing our bell at 8:00 AM and we needed to wake up a little before her arrival.